Chop Hunger: A Christian Ohio farmer and a half Japanese, half Mexican chef are coming together on the Upper West Side with several Kosher chefs from around the country to fight hunger. Chop Hunger will feature a “chopped” style cooking competition and a tapas dinner that will include a wine and tomato tasting. The tapas dinner will be made up of foods that tell the story of the struggles that the Masbia chef deals with on a daily basis. Every item on the menu will reflect the culinary decisions that go into feeding hundreds of people a night with an ad hoc, and often scarce set of ingredients. 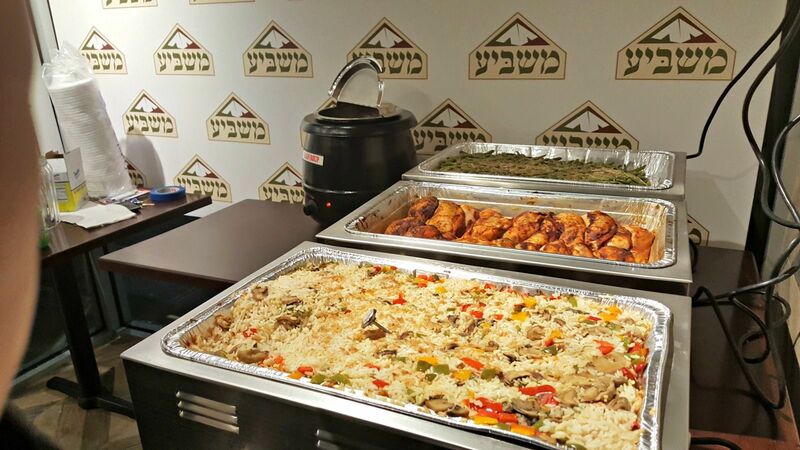 Since getting Kosher protein is always a challenge, tapas will also feature proteins from three brands, A&B Famous, Abeles & Heymann, Grow & Behold that regularly help Masbia feed the needy. Other dishes may include the Masbia original “Oatmeal Crusted Orange Chicken,” which was created on a night when Masbia ran out of spices but had to quickly come up with a recipe to feed the hundreds of families that were about to show up. These stories and more will weave their way through the tapas meal, giving attendees a deeper understanding of the soup kitchen and its challenges. The tapas meal will be followed by an onstage cooking competition emceed by Avi Levy from Florida to feature three Celebrity Kosher Chefs from around the country, Bryan Gryka of Milt’s in Chicago, Asaf Hadad of Fuego in Miami and Mendel Segal of BBQ Rabbi in Kansas City and to be judged by New York chefs Katsuji Tanabe of MexiKosher, Mike Gershkovich from Mike’s Bistro and Jordana Hirschel from The Blue Ladle. In addition to a variety of wines by Herzog Wine Sellers, guests will also get to taste some 60 varieties of tomatoes from year round donor Farmer Lee Jones of Ohio, to be prepared by Jordana Hirschel from The Blue Ladle. Tammy Carmona, designer of the tableware featured in the vampire movie Twilight, and owner of the tabletop company Carmona New York, who donated high end dishes to feed the needy with dignity at Masbia, will be the event party planner. Her more recently designed dishes will also be used by the contestants to serve their food to the judges. The lineup of chefs and judges is still not complete! With a donation of $10,000 attendees can become a Contestant, for $5,000 they can join the Judges and for $1,800 they can become a Sous-Chef to the existing chefs. “Abeles & Heymann is delighted to be associated year-round with this wonderful organization, along with the other generous donors. Masbia has been serving food to the needy through its soup kitchens in New York City for the past ten years, and this fundraiser brings to light just how much hunger there is in our own backyard. It underscores the important need for Masbia and other organizations like it,” says Seth Leavitt, CEO, Abeles & Heymann. All proceeds from the fundraiser will go towards feeding the hungry at Masbia, a network of Kosher soup kitchens and pantries, which served over 2 million meals in the last fiscal year.